This came in two color ways - the blue as shown here is sometimes referred to as "Summer Morning". This was also used for a trunk set called "Cissy Takes a Trip". There is also the lavender version of the No. 2114. 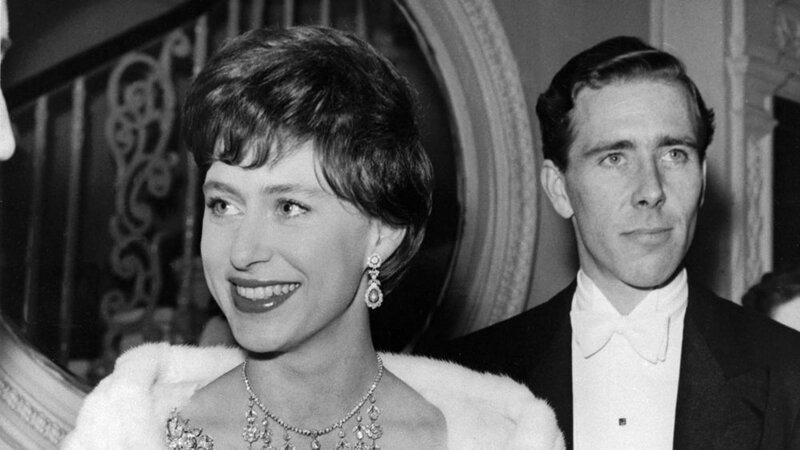 Cissy was hitting her peak of production and popularity in 1957. One of her biggest production changes also happened this year. The painted, bisque like finish she was introduced with in 1955 was changed over to a new infused finish. The skin tone of the doll now was added to the plastic rather than over the plastic as before. The lips, eyebrows and lower lashes were still added on in separate steps, but the infused plastic saved several steps and time in production of Cissy. 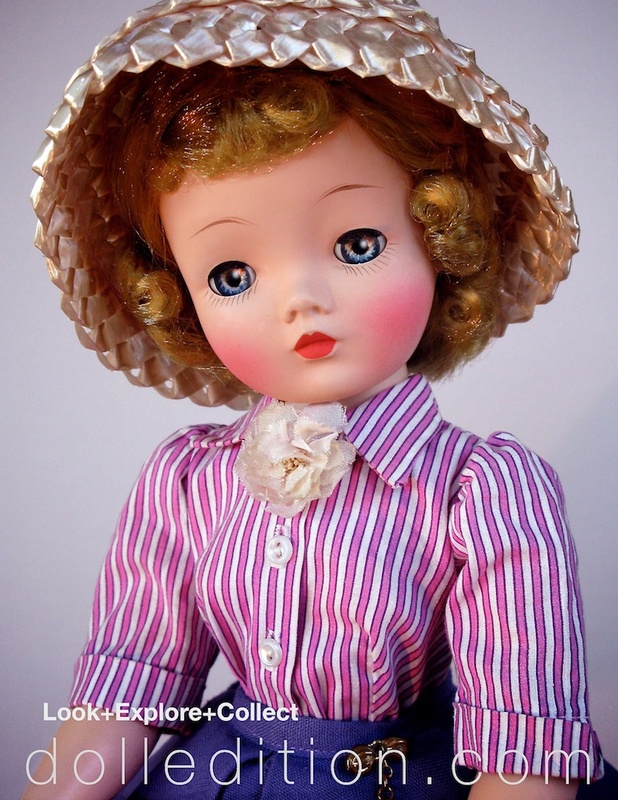 The sealant coat at the end of the process still remained, and was probably the magic touch that gave Cissy that beautiful bisque-like quality that still survives in certain Cissy dolls today. With two pristine mint dolls of the same production number to compare, it's a wonderful opportunity to look at the two finishes side by side. Within both the painted and infused types of finishes, there were any number of small tweaks happening as the company explored the production possibilities and to remain at the top of their industry. These are both No. 2114 of 1957. One is a blond and one is a brunette. The brunette has her box marked by the name of the doll, style number, and hair color. She also has the newer 1957 square hang tag that replaced the previous rectangular tags of 1955 - mid 1957. Alexander was also phasing out the use of both a coarser Saran fiber for wigs and a finer Saran. Only the finer Saran was used after 1958. 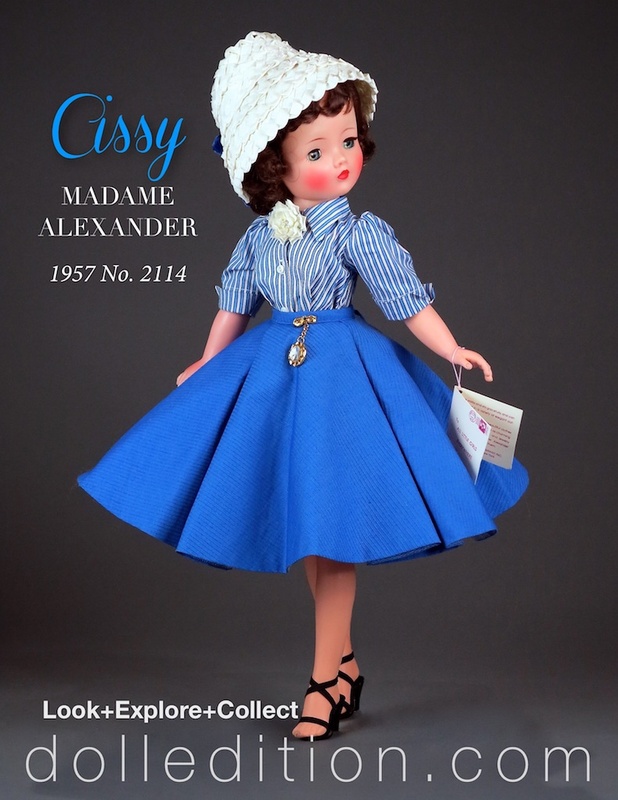 The Madame Alexander Box for Cissy No. 2114 - marked with the dolls name, style number and hair color.